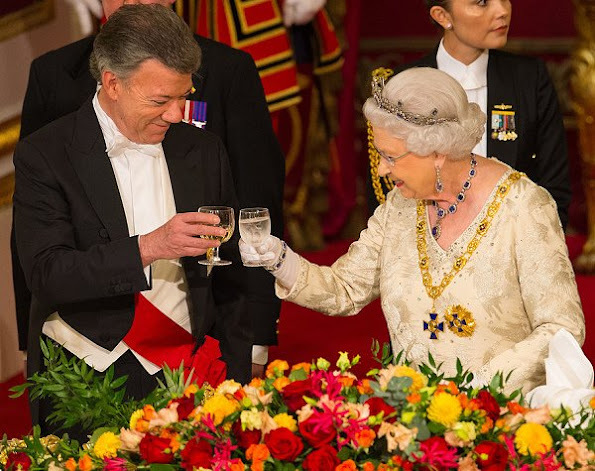 Queen Elizabeth II and her husband Prince Philip the Duke of Edinburgh, Colombia's president Juan Manuel Santos and his wife Maria Clemencia Rodriguez de Santos attended a State Banquet at Buckingham Palace on November 1, 2016 in London. Fab dress of the First Lady! 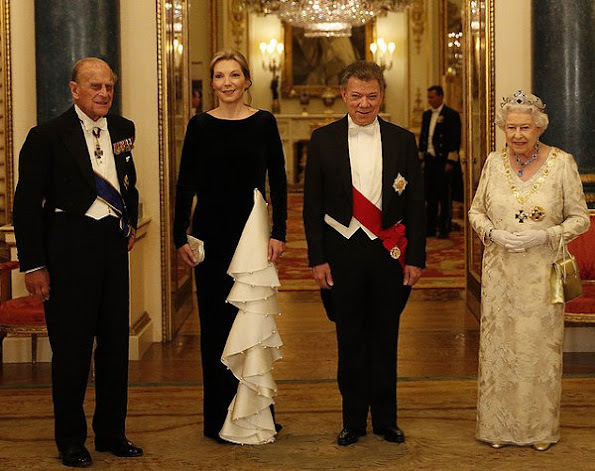 I like the idea of the first lady´s dress, but not the execution. The white part looks like a pinned-on afterthought. La Sra de Santos tiene mucho estilo y es elegante. Su vestido sería perfecto sin los deshilachados de la parte blanca.